Well, schools have finally broken up for the Christmas holidays, and we have our first visitors arriving tomorrow. So in preparation I spent some of today creating a calm corner for the girls (and anyone else of course!) to use when they need some space or need to work at calming down. We have a little gap behind the sofa in the sitting room. It’s very small but maybe that is in its favour – it’s definitely a ‘one at a time’ kind of space! I have made a mobile above the space with paper snowflakes which moves and spins slowly as the air moves in the room. I have collected together some pine cones and wood, some laminated autumn leaves and brought a natural woodland feel right into the corner. T has a mood colour night light hedgehog so he’s moved in too. Our scottie dog doorstop is soft and happily brings some weight onto a little one’s knees to ground them and bring a sense of safety. And our soft cuddly snowman sits ready for a squeeze. To make use of the radiator that I can’t move out of the way, I have laminated some clip art woodland animals, and cut out some basic silhouette trees – added some magnets onto the backs and created a quick ‘make your own woodland scene’ which can be fiddled with, can inspire stories and become absorbing. As I cut the shapes out I tried to make sure there were no sharp corners or edges so it’s all smooth to touch. Next I have made a lap size light box from a small household opaque plastic tub with a lid and some LED lights. I will put some tissue paper shapes and some coloured plastic counters that can be arranged on the lid and played around with enjoying the light. DIY light box instructions from ‘the imagination tree’. fabric marble maze instructions from Yvonne Reynolds (I’m making mine from felt, and tree shaped for my woodland calm corner). But we also added a sand timer, a Christmas I spy jar we made last year using rice and little pictures and sequins, a tactile snowflake made from fluffy pipe cleaners and hair bobbles with big beads on, a couple of simple puzzles, a Christmas stencil with pens and a pad of paper for doodling, and a create your own story game that we have. Well, this may be a controversial one but I think we need to talk about Father Christmas as Christian parents. It seems over the years we have been parenting to be one of those taboos that just can’t be explored openly. There is fear of children overhearing, fear of upsetting each other with different views, fear of the myth being lost and our children ‘losing the magic of Christmas’. But for me there are questions I want to grapple with as a Christian parent, and it would be so much easier if we could just talk! We are good at talking – the state of education, mainstream or homeschool, what books are most suitable or not at all suitable, what clothes shops are most ethical, what we let our kids watch on TV & why, the best diets, how to support our kids friendships etc etc, but not Father Christmas! So, spurred on my Miriam Gwynne’s frank and open blog about this subject last week, and how her family deal with the Father Christmas myth ( find it here ‘Why I told my Autistic Daughter there is no Santa) – I am going to be brave and continue the conversation, please join in! Andrew & I have opted out of the Father Christmas myth as parents, we don’t talk about writing lists for him, or about his naughty or nice lists. We don’t tell our kids any of their presents are from him, and we don’t put them to bed on Christmas eve with the words ‘go to sleep or Santa won’t come’. Strangely we both were just of one mind about it, it wasn’t an agonizing decision. 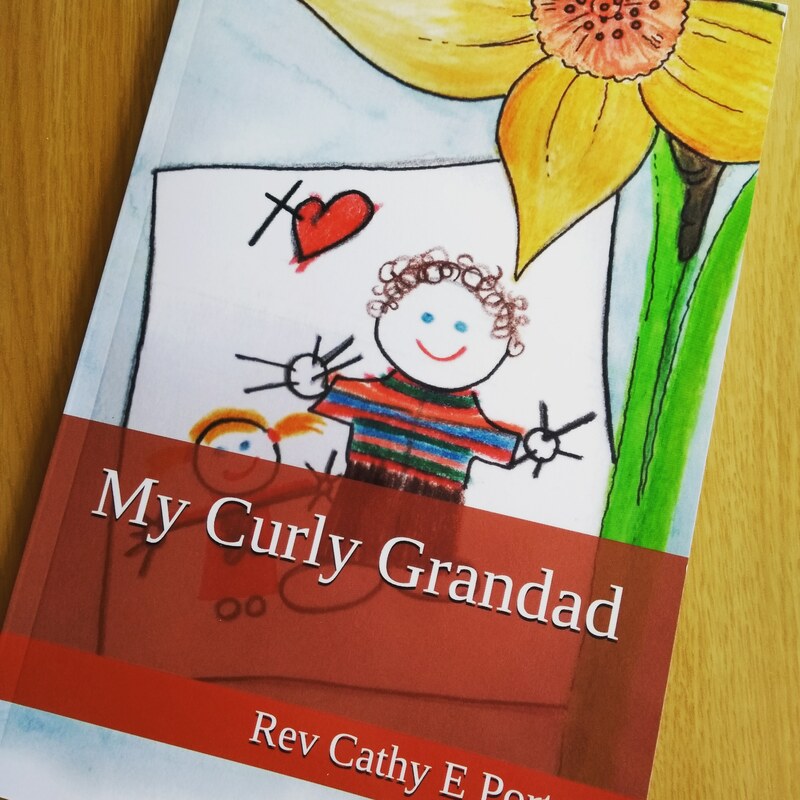 We simply both felt that if it was top of our parenting aims to raise children who knew Jesus was real we didn’t want to confuse things by acting as if Father Christmas was too. And that’s just our take. What’s been difficult has been feeling free to opt out in a culture which is embracing it all. Our extended family haven’t made the same choices in their families, and we haven’t yet come across many in church family who opt out either. And we certainly haven’t ever felt the need to impose our take on it as ‘the right way’ for all Christian parents. But it’s right for us, and I hope that in sharing why & how that maybe it encourages someone else by breaking the taboo. 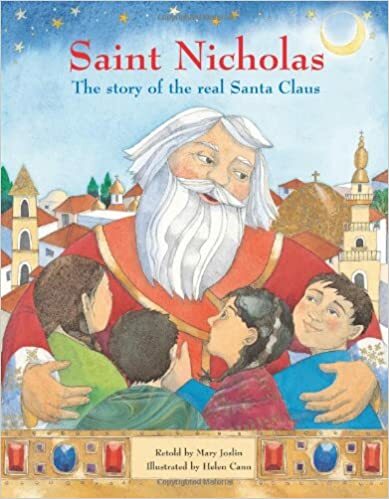 Each year we read about St Nicholas, and talk together about how he became an example of how to share the generosity of God’s heart with others. We read the St Nicholas story about the three girls without enough food, or money for dowries, and how St Nicholas shared his plenty with them by climbing up and dropping coins down the chimney into their fireplace & stockings. There are lots of books and resources out there but we love this one. Then, when we next have a minute mini teams hide away in corners of the house with saved wrapping paper from last year wrapping up the hoard for a stocking, usually taking great care to undo any multi-packs and wrap each item separately – yes biros, paperclips, you name it. I think Andrew is responsible for this little tradition! On Christmas Eve itself we take turns to wear the Santa hat trying to tiptoe through the house without being spotted ‘being Santa’ and delivering a stocking to the end of someone’s bed, before we go to bed ourselves. So logistically, T often plays Santa to Nanny & Grandad, B & A play Santa to Andrew & T and I then play Santa for them while Andrew is leading the midnight service, and usually Andrew plays Santa to me, putting my full stocking on the bed before he goes out. Then we open them in the morning, often the kids pile in with each other (T leads the waking up early nowadays) first, and then come in and jump on our bed to watch us open our stockings, and then show us all of their things (which I then have to work hard at gathering up off the bed and putting back in the right stockings to prevent wars later on in the day!). Of course it’s not over till we vote on which stocking shopping team is the winner that year (almost always not me!). So why do it all this way, it’s not an easy way in the midst of others who don’t – especially with our forthright and often brutally honest children? If we live and act that Father Christmas is real, and also that Jesus is real, how can we expect our children not to equate them? When they work out Father Christmas isn’t real will they also be working on the assumption that Jesus isn’t? We didn’t want to lie to our children, and it seemed to us too difficult to maintain such a well formed myth without lying. We didn’t feel comfortable with the concept of the naughty/nice list, the idea that receiving a gift is something you have to deserve or earn, and that in theory some are never going to be good enough… God doesn’t show us this kind of generosity, in fact quite the opposite, so to embed this thought into out family culture in this yearly tradition seemed unhelpful to us. We were keen to make family traditions that spoke of Christmas being for everyone, not just the children, and for us we were aware how the Father Christmas myth brings with it the idea that the ‘magic’ goes when you reach an age to see through it. For us the ‘magic of Christmas’ comes from the gift of Jesus, so we thought to ourselves that opting out of the Father Christmas myth should not take it away. In fact maybe by not buying into it we would be freeing ourselves to receive the joy of Jesus in new ways.